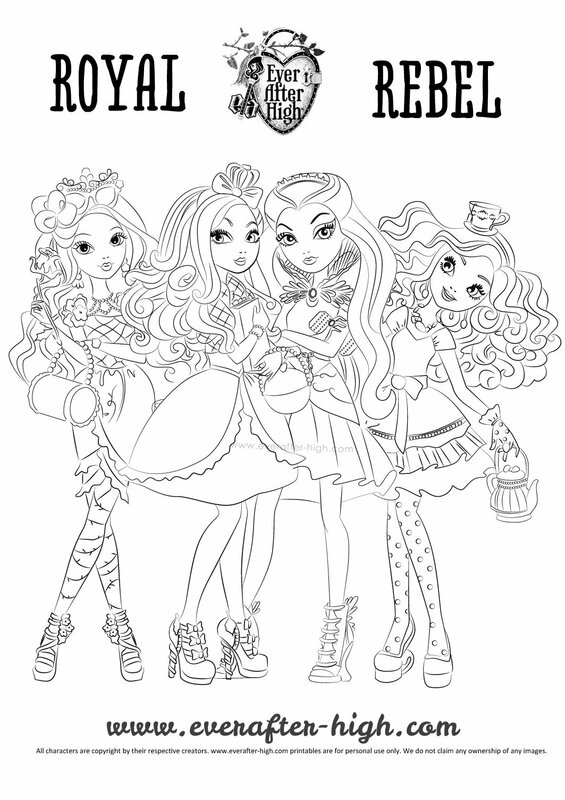 Here comes a new coloring page of Ever After High characters. 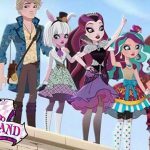 You now can color this four spellbinding girls that are the leaders of the Royals and the Rebels in the middle, Apple White and Raven Queen, and next to them her best friends, Briar Beauty and Madeline Hatter. They are very cute and georgeous, just give them color and they will look amazing!! 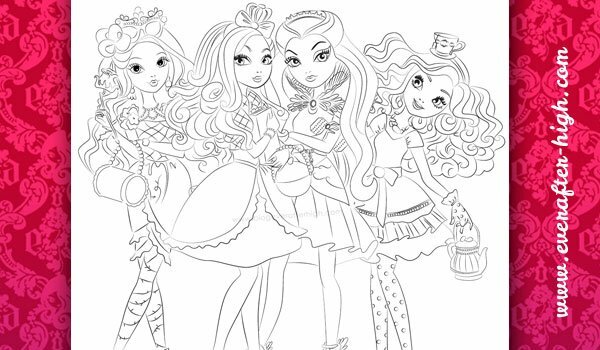 These four spellbinding girls ara waiting for some color! 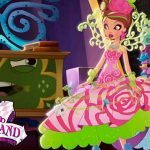 Ever After High Rocks !!!! I think that pic is sooo cooool and majestic.